Spring is in the air, and the warm sunny weather is perfect for hosting a small afternoon get-together with a little tea and cookies. We’ve gathered some of our favorite “Tea Time” tutorials and projects from around the web to inspire you to host a little tea party of your own. And, if you decide you also need a pretty apron to wear while serving tea, try browsing through a few of our apron project posts here and here! 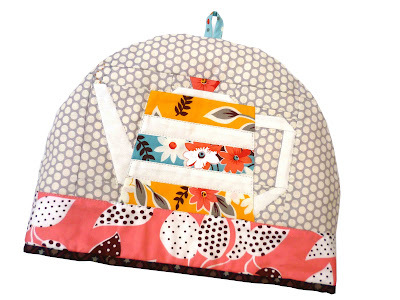 Every tea pot needs a cozy to keep it warm, and we’ve never seen a cuter one than this patchwork teapot design from Kerry’s VeryKerryBerry blog. Find Kerry’s Teapot Fancy Cozy Tutorial here. Even if you are serving your tea in cups and saucers, a little coaster can be the perfect thing for holding your spoon, the creamer, or the sugar bowl. Nancy from WolfandWillowBlog.com has created a lovely downloadable PDF project for stitching up some heart-shaped Spoonful O’ Sugar Teacup Coasters. 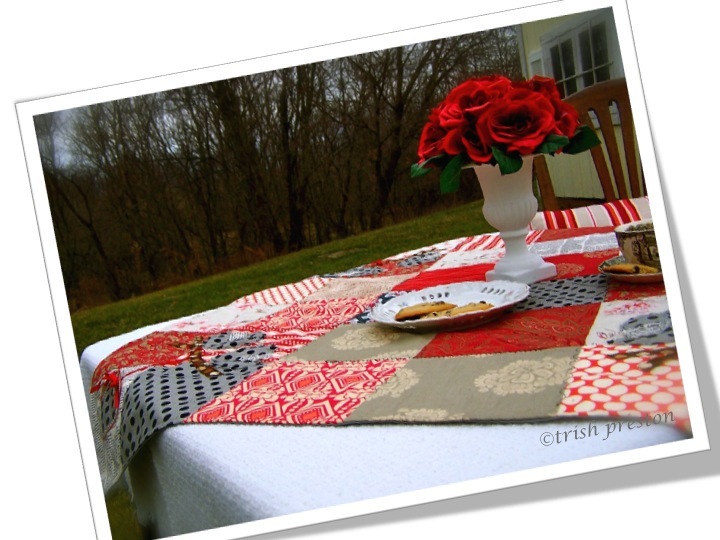 Trish Preston has created a pretty table topper tutorial, and we think it would brighten any tea party! Find Trish’s Love On A Limb tutorial at her blog, Two Peas in a Pod. And, finally, what’s a tea without some very pretty tea towels to help keep tidy? Check out both of these tea towel tutorials; create blank towels perfect for embroidering your own design with The Split Stitch’s 3 Minute Tea Towel, and add some awesome applique to a towel with Michael Ann’s tutorial for Applique Tea Towels. Next Next post: Quilt Police, Take That!